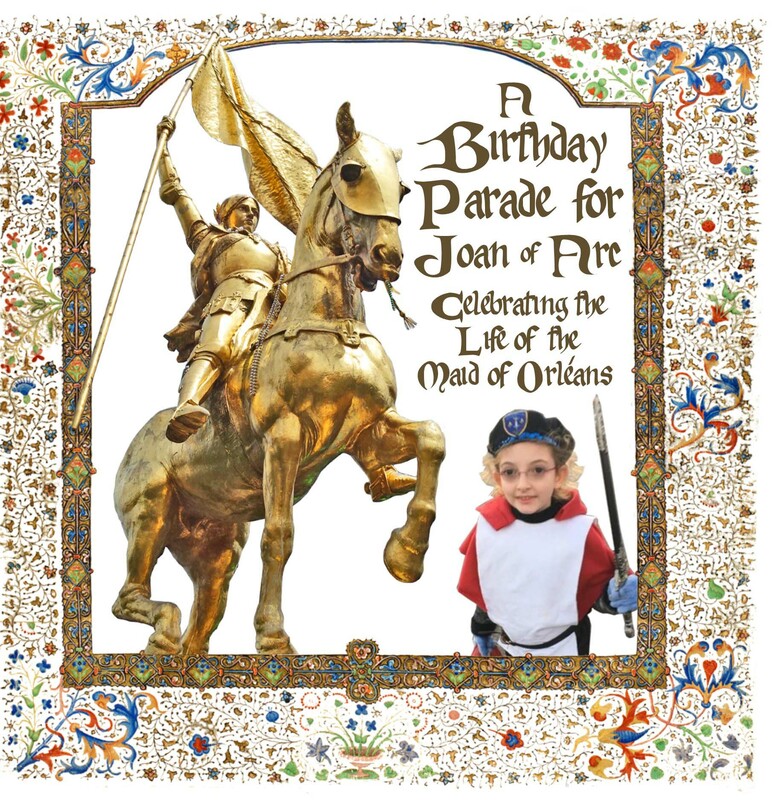 Ready-to-hang 16x20 canvas art print of the last page of the "A Birthday Parade for Joan of Arc" children's book. 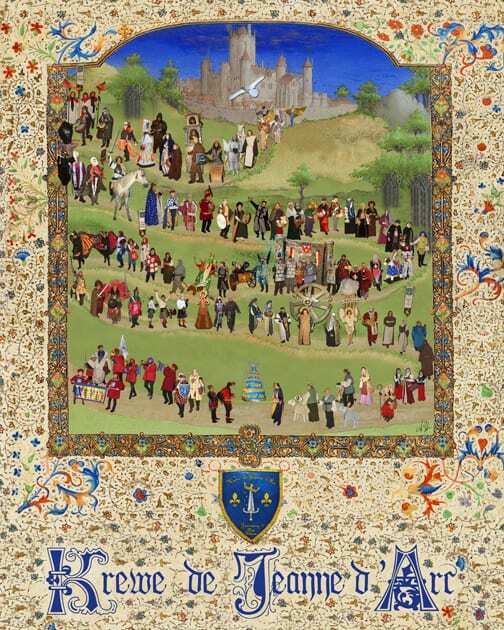 Photos of people in our parade are arranged into a landscape and border taken from authentic medieval manuscripts. Over 100 individual krewe members are included as well as all major props in sequence. 1.5" thick canvas frame with a gallery wrap extending the floral border around the edges. Order and allow 3 weeks for printing.